When the summer sun is shining, who doesn't want to spend the day outside with an ice cold glass of lemonade (or maybe a nice big pitcher of frozen margaritas)? A spot of sunshine is undeniably beneficial—it causes your body to produce vitamin D, and helps to improve mental and emotional health. However, while you're enjoying the sun, it is vitally important to protect yourself from UV radiation. Ultraviolet (UV) radiation is the type of energy produced by the sun that causes sunburns, eye damage, premature aging, and even skin cancer. In other words, UV radiation is bad news in large doses. We are affected by two types of UV rays: UVA and UVB. While it is always important to protect yourself from the sun, sun protection is especially crucial during chemotherapy. Chemo causes the skin to become incredibly sensitive; in addition to redness, dryness, itchiness, and peeling, the skin is more susceptible to the negative effects of UV radiation. This is both uncomfortable and downright dangerous. -Defines the amount of UV radiation that can pass through fabric. If a piece of clothing is UPF 50, 1/50th of the ultraviolet rays can pass through. -As the UPF rating increases, the amount of UV radiation that can pass through decreases. -Defines the amount of time you can stay in the sun before you get a sunburn. For example, if a sunscreen is rated SPF 15, you will be able to stay in the sun 15x longer without getting a sunburn. -It is recommended to use a sunscreen that is SPF 30 or higher. 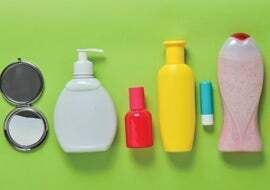 -Choose a broad spectrum sunscreen to get protection from both UVA and UVB rays; "regular" sunscreens only protect against UVB rays. This one is a no-brainer. Sunscreen was literally invented to protect us from the sun. You should put sunscreen on your face every morning, even if you aren't planning on doing any outdoor activities. UV rays can affect you as you walk to and from your car, and even through sunny windows, so don't skip this step in your morning routine. Taking 30 seconds to apply sunscreen in the morning will protect you from UV rays and help to prevent wrinkles. Worth it! If you're going to be spending time outside, put sunscreen on all exposed parts of your body. If you're sweating or swimming, be sure to reapply every couple of hours. Take the time to apply a cream sunscreen rather than using a spray sunscreen. While the spray may be more convenient, it allows the chemicals in the sunscreen to be easily inhaled, which is potentially harmful. Additionally, there is evidence that spray sunscreens aren't as effective as creams. Make sure to use a BROAD SPECTRUM sunscreen. Broad spectrum sunscreens protect against both UVA and UVB rays, while sunscreens that are not broad spectrum only protect against UVB rays. 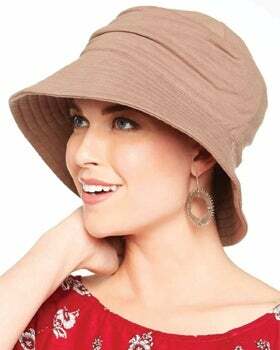 Wearing any hat will shade your skin and help deflect UV radiation, but hats with UPF ratings and brims are the most effective option for sun protection. 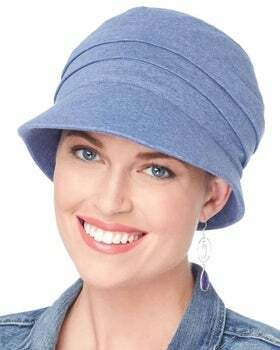 Our Cardani sunhats are UPF 50, 100% cotton, and have a cool, soothing interior made with real Aloe Vera fibers. If you are wearing sunscreen and a sunhat, you can safely stay out in the sun. However, if your skin isn't protected, you should not spend more than 10 minutes in the sun at a time. Sitting under an umbrella or tree rather than in direct sunlight will help to block out UV rays. UV rays can also damage your eyes. Wear sunglasses to keep them safe. FALSE: "I only need to wear sunscreen or a sunhat if it's hot and sunny." Most people believe that sun protection is only necessary on sunny summer days. This is simply not the case. While UV radiation varies in intensity based on several factors, including time of year and cloud coverage, the sun always produces UV radiation. This means you should make an effort to protect yourself from the sun even on days that are overcast and cold. FALSE: "I don't need to wear sunscreen or a sunhat because I don't usually get sunburns." Some believe that if they have darker skin or do not typically get sunburns they do not need to protect themselves from the sun. Women and men with darker skin do in fact have more natural sun protection than those with lighter skin because they have more melanin, or pigment, in their skin. However, people of all races, ethnicities, and skin tones are susceptible to UV rays and skin cancer. Furthermore, heightened skin sensitivity caused by chemotherapy makes you even more vulnerable to UV rays; people who have never gotten sunburns before may find themselves burning easily post chemo. Sun protection is crucial for everyone, regardless of skin tone. 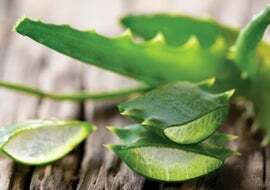 Aloe Vera is a natural remedy for sunburns. It cools and moisturizes, allowing the burn to heal faster and preventing peeling. Simply apply Aloe Vera gel, oil, or lotion to the burn when the skin is slightly damp in order to trap moisture. Be sure to avoid lotions that contain petroleum, as they trap heat and may make the burn worse. We recommend using Alra Therapy Lotion and Aloe Lip Care Treatment. Your body needs more fluids when it is sunburnt in order to heal. 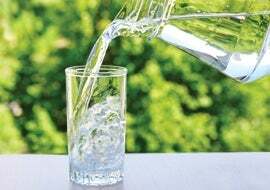 Make sure to drink plenty of water to avoid dehydration. Take cool showers and baths. Keeping the skin cool helps to reduce pain. 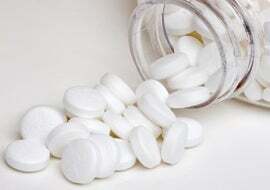 Take an anti-inflammatory drug such as Ibuprofen or aspirin to help with pain, redness, and inflammation. When your sunburn is healing, do not spend a lot of time out in the sun. When you do, make sure to thoroughly cover up any burnt areas. If your skin begins to blister, leave it alone. Use gentle skin care products and don't take long, hot showers or baths. Wear gentle clothing, such as our Aloe Couture Cap and Cardani Bamboo Clothing Collection. If you are experiencing severe blistering, wooziness, fever, or oozing, see a doctor. These symptoms could indicate a more serious issue, such as infection. 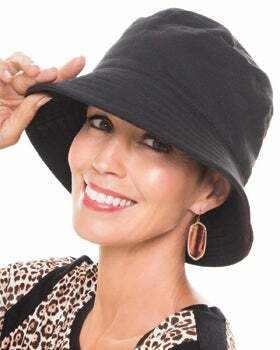 For a huge selection of sun hats, check out our spring and summer hats collection and UPF hats! © 2018, Headcovers Unlimited, Inc., All Rights Reserved. We encourage and welcome direct links to this page, but please do not redistribute, copy, alter or create derivative works from our content without express written permission.